A loving teenager couple sustained serious injuries allegedly after jumping off a five-storey building in Thana Rastar Matha area in Cox’s Bazar town on Monday night. The injured -- Shakil Mostoza Obhi, 18, son of Abu Musa Shakil, and Israt Jahan, 14, daughter of Saiful Islam-- used to live in the building with their respective families. They are popularly known as ‘Romeo and Juliet’ of the area. Neighbours said they were in a romantic relation for long, but their families did not accept it. So, they jumped off the building to commit suicide together around 8:30pm, they said. 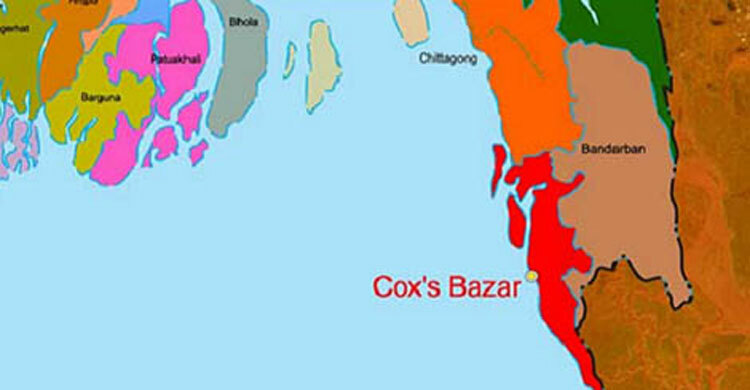 They sustained severe injuries and now undergoing treatment at Fuad Al Khatib Hospital in the town, said Farid Uddin Khandaker, officer-in-charge of Cox’s Bazar Sadar Model Police Station. The reason behind the incident could not be known yet, he added. However, members of both the families claimed that the girl and boy fell down from the roof as there was no railing in the building, but locals spotted railing on the rooftop.